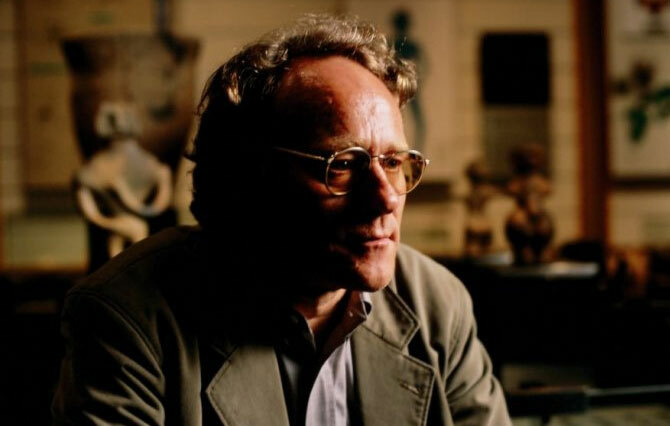 For 30 years, Graham Hancock has sought to answer unspoken questions about historical mysteries. Ancient markings on cave walls led him into jungle darkness, where the vine of the soul gave him clues that could solve the riddle of consciousness. Graham Hancock is a British journalist and the author of several major international bestsellers. His books have sold more than seven million copies worldwide and have been translated into thirty different languages. He’s had two major television series, Quest for the Lost Civilisation and Flooded Kingdoms of the Ice Age. Hancock’s latest book, Magicians of the Gods, was published in the autumn of 2015. – My first investigation into an ancient mystery was The Sign and The Seal, says Graham Hancock, which I began to research seriously in 1987 and finally published in 1992. I immediately set to work on my next book. Fingerprints of the Gods: The Evidence of Earth’s Lost Civilisation was published in 1995 and is estimated to have surpassed three million copies in sales. The book argues that a previously unknown but highly advanced civilisation existed in prehistory, one whose imprints can be traced through ancient myths and megalithic structures. Additional bestsellers exploring the same hypothesis followed, with The Message of the Sphinx in 1996 and Heaven’s Mirror in 1998. – In 2002 I finished a massive tome called Underworld, following which I discontinued my pursuit of cultures past for the time being. I wanted to explore the mysteries of human origin. The fossil records contain many gaps over the millions of years that preceded the emergence of civilisation, as recognised by historians, around 5000 years ago. He sought to probe these cracks diligently enough for something to emerge – fresh insight, some scrap of previously neglected information that might shed light on the great ambiguities of the hominid predicament. – Why has the human being – alone among all animal species, developed not only culture and belief in an afterlife but things like the ability for creating and appreciating art, to use and manipulate symbols? These are questions he tries to tackle in his 2005 book, Supernatural: Meetings with the Ancient Teachers of Mankind. – During the first seven million years of human evolution, there is no evidence for the existence of symbolism amongst our ancestors. All we see throughout this period is a dull mimicking and mindless recreation of both behavioural patterns and innovation, or lack thereof. Once a change is introduced – a tool perhaps, it then sets a new precedent that’s copied and duplicated without improvement for a further immense period until the next change is finally adopted. In the same process, we also see the gradual development of human anatomy in direction of the modern form. The brainpan grows larger, the brow-ridge is reduced in size, and our overall anatomy becomes leaner. – About 200 000 years ago, humans had achieved what we call full anatomical modernity. This means they were physically indistinguishable from us – and crucially, that they possessed the same large and complex brains. The most striking mystery, however, is that their behaviour continued to lag behind the endorsement of modern neurology and appearance. – No sign of culture, spiritual beliefs or self-consciousness – nor any interest in symbols. Indeed, there was nothing that would identify them with ‘us’. Not a trace of innovation for 150 000 years, no progress or even improvements. What happened next is perhaps the greatest riddle of both palaeoanthropology and archaeology; an ignition through the spine of humanity, on not just isolated locations but across the entire globe. – The sudden appearance of fully representative symbolic art on cave walls about 40 000 years ago represents a spectacular enigma. This is a stark contrast from the endless, unimaginative cultural desert that humankind had been stumbling blindly across ever since learning to tread upright. 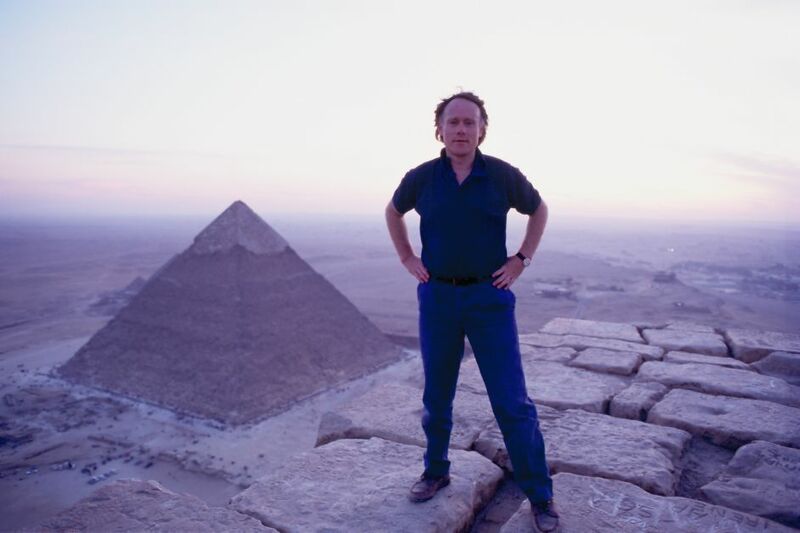 As part of his investigation, Hancock visited cave art sites in Spain, France and various other locations in Europe, as well as remote rock shelters in South Africa. All of them difficult to access – he found images of animals, humans, and hybrids of beast and man; therianthropes. – It’s really as though a light was switched on in the human mind. The brain was there all along, it just hadn’t been used until then. Oddly, this art was already fully perfected from the moment it began to be created. There does not appear to have been a learning curve. – And why was it accompanied by other significant changes in human behaviour – more sophisticated stone and bone tools, better hunting strategies and the first evidence of spiritual belief? Correlation is all we have – but looking at the behavioural advancements that appear simultaneously, it poses an intriguing mystery. Whatever divine spark drove our common ancestors to start painting must have propelled the remaining changes as well. – Explain archaic art and we uncover the origins of modern humanity. It’s therefore of the greatest interest that such a theory has already been proposed and peer-reviewed, and does indeed explain similarities in Stone Age art of vast geographical distances. As we discover later in the conversation, the same characteristics can to this day be found in art produced by shamans of remote tribal communities. The same goes for sites previously discussed on Bardo Methodology, such as Newgrange and Göbekle Tepe. – The prevailing theory among anthropologists proposes that the eerie similarities and universal themes linking these different systems of art are because the artists were all depicting the same thing. They were drawing what they had seen in deep visionary trance. Irrespective of cultural differences, all humans share the ability to enter altered states of consciousness. Everyone has access to the same entoptic phenomenon; visual effects whose source is within the eye itself. Reports of the same geometrical patterns and entities that were painted on cave walls 40 000 years ago still emerge on a daily basis, both from ritualistic jungle application and scientific lab research. How would they achieve this back then? – The same way humans do today; various techniques such as prolonged rhythmic dancing and sweat lodges, or by eating psychoactive plants they had discovered while foraging for food. Regardless of guide, the destination seems to have looked similar; it was then recreated and memorialised in their cavern sanctums. 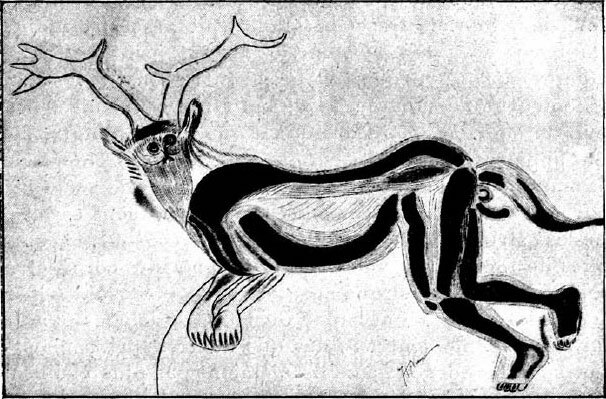 Approximately 17 000 years old cave art; the “Sorcerer” of Trois Frères – part owl, part wolf, part stag, part horse, part lion and part human. Before we proceed into the altered side of things, we should try to establish what’s meant when we speak of a consciousness. – I offer no facts – only my own view, which is that life is a theatre of experience. My belief is that consciousness is something fundamentally nonphysical and in fact one of the driving forces behind this universe. He likens it to currents such as gravity or electricity, and adds that it’s through a 4.5 billion yearlong evolutionary process that the human consciousness has arrived to where it is today. – Evolutionary biologist Richard Dawkins and his ilk goes so far as to claim that evolution proves there’s no transcendental meaning to life. That there’s no such thing as spirit, that consciousness doesn’t survive physical death. I’m not against evolution, that’s preposterous. It’s an inarguable fact – but it is ascribed far too much value in tracing our origins. Hancock feels that Dawkins is one of many hard-line atheists of academia that reduce everything and anything to matter. They claim, he says, that we are little more than meat with an accidental ‘epiphenomenon of brain activity’. – No honest scientist would deny that consciousness is science’s greatest mystery, that we don’t know exactly how it works. The brain is unquestionably involved but how, we don’t know. It’s obviously possible that they are right, that the brain produces consciousness the way a generator makes electricity. If you hold to that paradigm, then you will undoubtedly arrive at the conclusion that death means a fade to black. When the transmitter breaks down, the signal of consciousness fades. – It’s equally possible – and nothing in neuroscience rules it out, that this relationship is more like that of signal to antenna. If the television set is broken, the transmission will persist regardless if it’s being broadcast or not. But doesn’t brain damage compromise consciousness? – True, but this doesn’t prove that those parts of the brain generate the relevant areas of consciousness. If you were to smash one side of your television set – the picture would probably be distorted or vanish, but the signal would still be there. This is the core of all spiritual traditions; our souls are immortal, we briefly manifest in a corporeal vessel to learn and to grow and to develop. – To study the mysteries of transience – these materialist, reductionist scientists are the last we should be consulting. They have nothing relevant to add to the discussion, at all. Instead, he suggests seeking council from the ancient Egyptians; a culture that put their best minds to work at solving the riddle of mortality for three thousand years. They strove to learn how to best utilise life in preparation for death, and the weighing of one’s heart on the scales of Osiris. – What Dawkins doesn’t consider is the possibility that ‘the spirit world’, for lack of a better term, has used evolution to manifest physical entities in which consciousness can emerge and express itself. Graham believes that mind generates matter, that the physical realm and its inhabitants are projections of a primordial awareness. Like the lore of various ancient wisdom decrees; as above, so below. – According to these traditions, the cycle of life is a most profound journey of experience and discovery. We traverse its pathway to learn lessons that can only be taught in the flesh. It does us good to remember that we have been given a precious opportunity here, to be born as human beings into this world of matter and consequences. As opposed to being spawned a plankton, in which case one can’t exactly sit down and meditate upon the mysteries of subterranean nautical dwelling. – We have the entire biosphere here to support us. Four billion years of earth evolution has led us to a point where we can distinguish between good and evil, darkness and light, love and fear – where we can make conscious choices that will impact us and others on many levels. There are many ways to induce alterations to the human consciousness. The Bushmen of South Africa reach it through night-long dancing and drumming, Amazonian tribes burn themselves and then smear the wound with frog poison, and Christians drink the symbolic blood of their Messiah. Secular westerners mostly turn to caffeine, nicotine and alcohol. – In prehistoric Europe, it’s most likely that these states were attained through the consumption of Psilocybe semilanceata – the popular little brown mushroom that is still used throughout the world today. In Central America, the Maya and Aztecs used other psilocybin mushroom species to access the same headspace. – I took LSD once in my twenties and had a fantastic, exciting, energising twelve-hour stroll through a parallel reality. When my normal, everyday consciousness returned – it did so very abruptly. Graham felt grateful for such a wonderful experience but in even greater awe of its power. As positive as his maiden voyage had been, had it taken a darker route with the same intensity it would very likely have been sensationally unpleasant. – It was not until I reached my fifties and delved into Supernatural that I decided to resume that particular line of inquiry. As a writer I have always believed that when I research a subject, I must explore it personally. I must inject myself into the story. May I ask what your wife had to say when you announced your intention to start consuming hallucinogens? This is behaviour he’s know for; as part of his surveying for Underworld, Graham along with wife and photographer Santha Faiia got diver’s certificates, then dove at exceptionally dangerous sites to study submerged structures. They were now bound for even darker waters. – I drank ayahuasca with shamans in the Amazon and self-experimented with DMT, mushrooms, and the African visionary drug known as iboga. Iboga is ‘the plant that enables men to see the dead’ – a claim Graham can attest to. The perennial shrubbery is native to western Central Africa and revered by the Bwiti people as a foundation for their religion. It has also proven extraordinarily successful in treating heroin addicts, as it resets the brain’s opiate receptors which in turn alleviates withdrawals. – The downside is that consumption instigates 48 hours of physical and mental hell. Fascinating, but nothing I’m in any hurry to relive again. Beyond the South American rainforest and certain parts of Australia, DMT is mostly accessible in smokeable form – a method of ingestion known to produce approximately 10 minutes’ worth of interdimensional astral flight. Drinking it in an Amazonian potion known as ayahuasca activates a deeply reflective and visionary experience that lasts up to four hours. – The brew has been drunk for at least three millennia and is regarded by the indigenous people as a portal to the spirit world. Since DMT can be found all through nature and even endogenously in the human brain, our body has developed a way to ensure that we’re not engulfed in hallucinatory rapture from simply eating a salad. – There is an enzyme in our gut called monoamine oxidase (MAO) that switches off DMT on contact. The ancient shamanistic societies of the Amazon, however, found a workaround for this problem. The banisteriopsis caapi vine, called ayahuasca by the locals, contains an MAO-inhibitor that deactivates the enzyme and allows DMT to be absorbed orally. How, thousands of years ago, shamans managed to select two plants out of the estimated 150 000 different species found in the Amazon is not known. Local lore has it that hunters observed the jaguar chewing the vine’s bark and subsequently tumbling about in an oracular stupor. Wanting to know what the fuss was about, the tribesmen figured out how to prepare a tea from it. Drinking this brew, the vine – which consumed on its own instils a sense of communication but no visions, told them what else to add to the cauldron. – The vine is boiled together with leaves rich in DMT to produce a foul-tasting but highly psychoactive beverage. There is no written language among these cultures, so the entire lore has been kept alive by oral traditions. Their ancestors, they say, were taught the secret by spirit-beings as a gift to mankind. This is why the jaguar has such a central place in ayahuasca mythology. In the past decade, the ‘vine of souls’ has garnered global interest from scientists and civilians alike, having been described as ‘twenty years of psychotherapy in one night’. Few do it for fun however, as the actual imbibing is a bit of an ordeal. – For a start, it is among the most repulsive flavours and smells on the planet – it tastes like a ground up frog. Within about 45 minutes of drinking it you are likely to suffer bouts of severe nausea, vomiting and diarrhoea. This is what’s known as ‘the purge’. Alongside the light and joy and valuable life-lessons ayahuasca ceremonies are known for – after the violent expulsion obviously, there are the occasional terrifying psychic challenges. – Encounters with seemingly malevolent entities in convincingly freestanding parallel realms, this can be rather distressing to say the least. 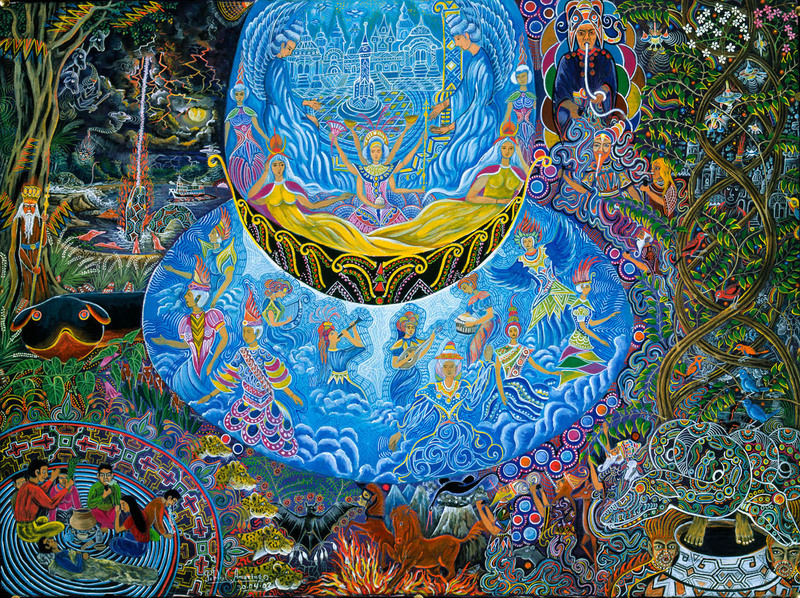 Art by the late Peruvian ayahuasca shaman Pablo Amaringo, depicting his visions. The extraordinary experiences he went through persuaded him that anthropology was right. In the thick of the rainforest jungle, equally deep in the throes of its nectar, he recognised shapes and patterns from the cave walls. – It must have been the discovery of psychedelic plants – ones that induce states of this sort, which provided the inspiration for ancient rock art around the world. Graham says it’s to the proper examination of these experiences we must turn, should we want to discover from whence the first spiritual ideas ever entertained by our ancestors derived. – It’s at this point that I deviate from the official narrative. What absolute nonsense, that the entire inspiration for the birth of humanoid art should be reduced to nothing more than optical illusions of synapses firing in the brain – ‘hallucinations’. As he’s prone to, Hancock chose not to settle for the official version of events. He refused to accept that the inspiration for cave art and subsequent birth of human religion is neatly accounted for by mere shifts in brain chemistry. – Not with the earliest spiritual insights of mankind rendered down to mere epiphenomena of biological progression, with the sublime thus efficiently reduced to the ridiculous. No scientist can claim to possess such knowledge, or to be anywhere near acquiring it. Shamans the world over know more – much more, than science does about this. So if we were smart, we should listen to what the shamans have to say. In the corridors of academia, he says, there is neither room nor need for the supernatural. There is no space for any kind of otherworld nor any possibility that intelligent nonphysical entities could exist. – I make no claim as to the reality of either spirits or the realms encountered in visionary trance. It’s entirely possible that they are real – however you want to define that, but only accessible to our senses in altered states. It’s equally conceivable that they have no fundamental reality whatsoever. There are many other potential explanations, ranging from Jungian archetypes to projections of the imaginal. Graham says that all he can say for sure is that they are at least perceived as fully real. – It is not an intellectual argument. It is not a matter of empirical, scientifically verifiable proof. It is quite simply an experience. Once you’ve had a deep and powerful encounter with the other side you can make of it what you will, but until then it’s probably better to withhold judgment. While refraining from any claims of certainty, Hancock most assuredly has his own views. These are not guidelines that he adopted from reading scriptures by other learned men, but a conviction forged in the fires of empiricism. This is the very core of shamanism – there’s no one trying to tell you what’s out there, you’re given the means to see for yourself. – It is my personal belief that supernatural powers and nonphysical beings exist. That human consciousness may under special circumstances be liberated from the body, enabling interaction and even learning from these entities. This is what the communicative representatives of Amazonian, European and African flora confronted him with; the notion of the spirit world and its inhabitants being as ‘real’ as the definition of the word allows. – Could they have been the ones who first ushered us into the full birth right of our humanity? This is one of the main queries posed by Supernatural. Is it possible that the ‘supernaturals’ depicted in forgotten caves – entities we can seek audience with to this day, are the ancient teachers of mankind? Perhaps it was their doing – cultivating the spiritual in the cerebral, as man discovered how to disengage from the body. And why did it happen across the globe concurrently? – Perhaps human evolution is more than the blind, meaningless, natural process that Charles Darwin identified. Something more purposive and intelligent, that we have barely even begun to understand. 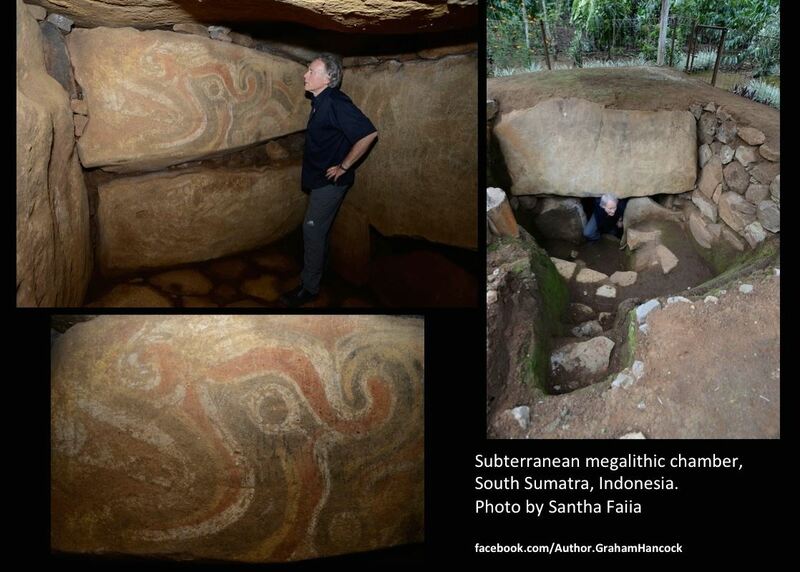 Graham investigating painted subterranean megalithic chambers in South Sumatra, Indonesia. Dating unknown, but the swirling designs are similar to other ancient art from all corners of the globe. It is, of course, difficult to discuss things like this without reflecting on their stature within the judiciary system. – Other than breaking arbitrary rules that the state has imposed on us, personal and responsible drug use by adults is not a crime in any true moral or ethical sense. It should be of no concern to the authorities what takes place in the privacy of our own homes, where it cannot possibly do any harm to others. For some, he says, it is a simple lifestyle choice. To others, particularly where the plants are concerned, it’s a means to make contact with alternate realms and parallel dimensions – perhaps even with the divine. – For some, they are an aid to creativity and focused mental effort. To others, they are a means to tune out from every-day cares and worries for a while. He points out one drug that is not only encouraged by society but usually stipulated in employment contracts; caffeine. The active ingredient in coffee and tea gives a mild cognitive boost and promotes concentration and activity, which is precisely what you want from an employee. – In all cases it seems probable that the drive to alter consciousness, from which all drug use stems, has deep genetic roots. Graham reminds us that there are other adult lifestyle choices that used to be violently persecuted by our societies. Everything from sexual orientation and esoteric practices to a simple belief in nothing, and not to mention dabbling in the secular sciences. – What is, after all, Western civilisation all about – what are its greatest accomplishments and highest aspirations? Most people’s answers are likely to mention personal freedom before all the other splendid achievements of science, literature, technology and the economy. Individual freedom. The list of liberties we enjoy today that were not available to our ancestors is a long one. Hancock says it is therefore exceedingly strange that Western civilisation in the 21st century enjoys no real freedom of consciousness. – There is no more intimate and elemental part of the individual. At the most primal level, it is who and what we are – and if we can’t claim sovereignty over our own consciousness, then we cannot in any meaningful sense be regarded as free in other aspect either. So it has to be highly significant, he continues, that society in fact forcefully denies our right to independence in this intensely personal area.